Here is the list of the boutique* bicycle manufacturers, ordered by their name (starting with C). If you want to find a unique bike that fits your personality, review this list. The company is located in Santa Cruz, California, United States. It is founded by John Caletti in 2004. They build many types of bicycles (road, mountain, cyclo-x, touring…). The company is located in La Selva Beach, Santa Cruz County, California, United States. Calfee Design is founded in 1987 by Craig Calfee, and their bikes used at the Tour de France in 1991, by the legendary American cyclist Greg LeMond, triple Tour de France winner, and hiz team Z-Tomasso. Calfee Design Manta is available in Pro (road), Adventure (endurance/gravel) and Cyclocross(CX) geometry. It is also available with 12mm rear suspension (coil spring, 4 stiffness options) or a fixed/rigid rear wishbone. -Available with eyelets to support frame/fork mounted racks, fenders, etc. Casati is an Italian brand, founded by Pietro Casati, around 1925. 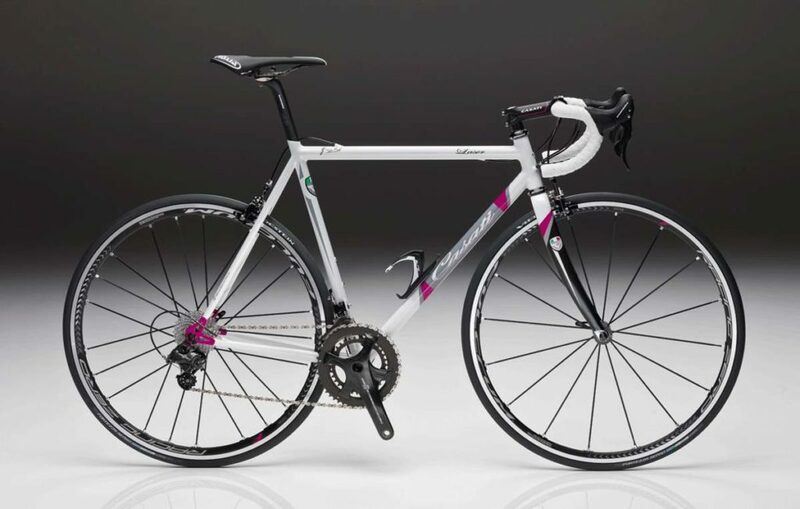 You can read more about the brand by seeing another post titled “Casati Campagnolo 80th Anniversary Limited Edition“. 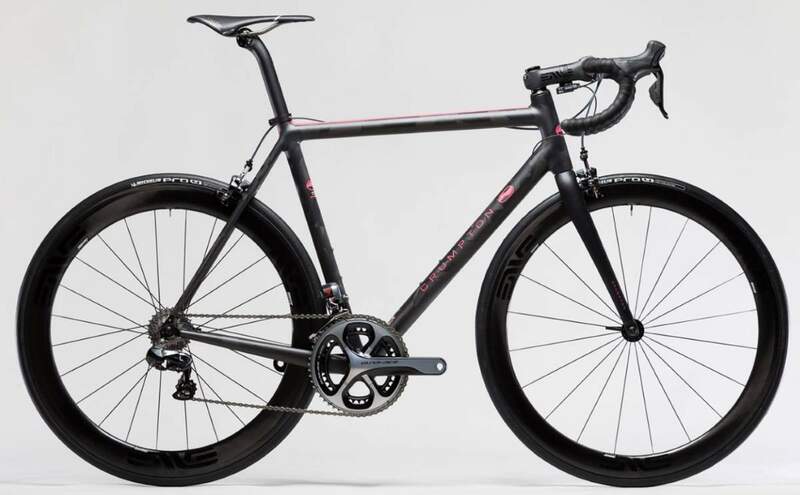 They build road bikes under three categories: “historic steel” (steel bikes with a classic look), “minimalistic steel” (steel bikes with a modern look) and “best-fit carbon”. Cherubim is based in Japan. The company is founded in 1965, a year after the Olympic Games in Tokyo. They build steel road (concept, modern and classic), track and keirin bikes. Cherubim New Horizons – “airline road concept”. An interesting road bike. An aero geometry previously used in concept bikes such as Chris Boardman’s hour-record-breaker “Lotus”. Cherubim brought this concept into the road bike world. The brand is founded by Gelmino Chesini in 1925 and located in Verona, Italy. In 2009, I paid a visit to their shop in Verona, you can read the story in the post titled “Verona and Chesini”. Chesini Prima Gold Leaf: Sloping geometry. Columbus Spirit Oversize tubes, tig welding (filet brazed optional). Asymmetric chain-stay, elliptical diameters of the seat-stays, an ovalized section of the seat tube at the bottom bracket, head tube 1”1/8-1”1/2, bottom bracket BSA, Columbus FEL carbon fork. Custom size and colors. Frame with very limited lateral flexion while maintaining the ride comfort at the highest level, without equal in the long distances or on roads with a rough or bumpy road surface. 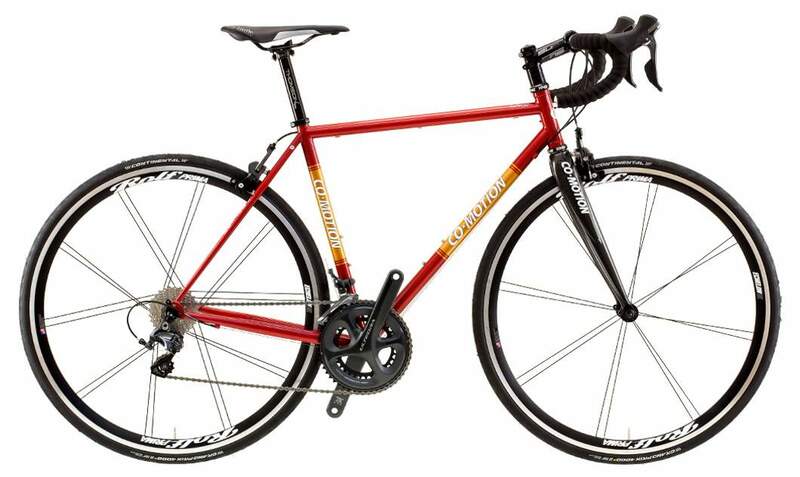 Previously known as Majaco Bicycles, Chumbo USA is located in Austin, Texas. Their mission is to provide you with the highest quality user experience beginning with precision made in USA fabrication and materials, through a friendly planning of your dream bike, to turning over the pedals for years to come. All of the company’s bikes are made in the USA. 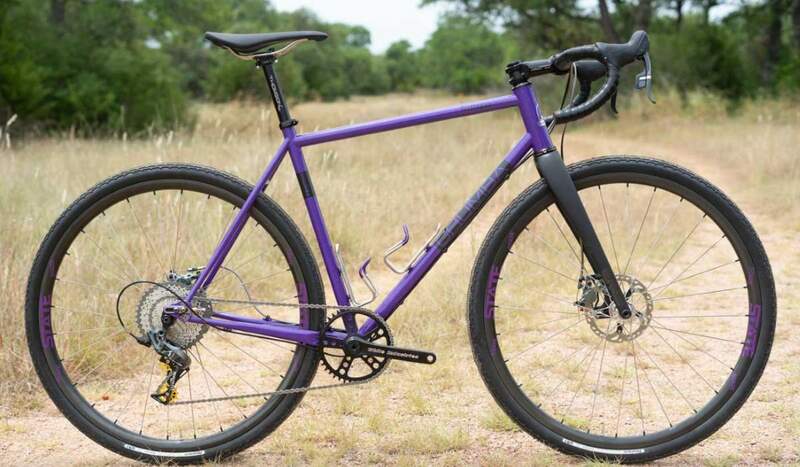 The Terlingua is a high performance gravel bike, capable of traversing long distances on a wide range of surfaces. It’s geometry is also at home sprinting out of corners at your local cyclocross race. 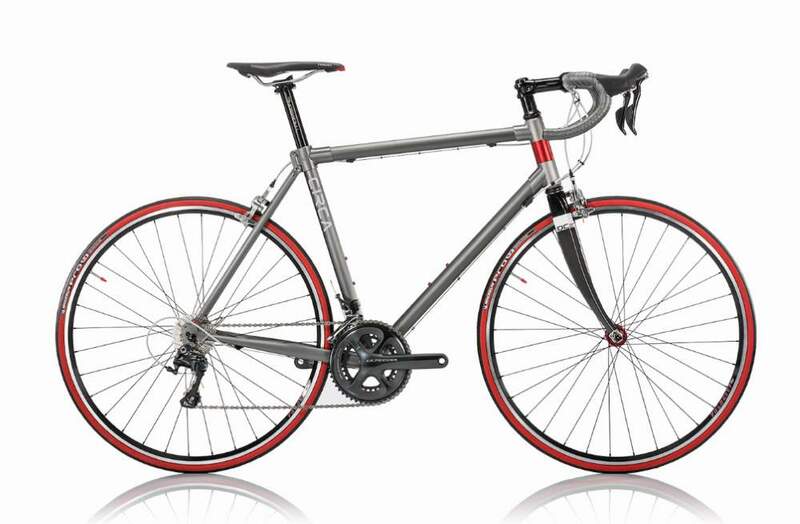 The Terlingua represents the best in modern steel bike design. With a low frame weight & a team tested tubeset selected for stiffness from the chain-stays through the downtube the Terlingua is focused on performance. We chose tubing for comfort from the seat-stay through the top tube junction creating a bike that accelerates fast, but can also track through rough terrain. Features like stainless steel sliding Paragon Machine Works dropouts w/ replaceable inserts, industry leading compatibility for tire clearance, chainring size and drivetrain styles mean the Terlingua will find a home in your bike stable for years of service. The Terlingua steel comes in a full range of sizes from 50-60cm and fit true to size. The brand is founded by Camino Cielo in 1978. It is based in Portland, Oregon, United States. Camino Cielo is a friend of Chris King, the famous component manufacturer, and they produce things in collaboration. Many Cielo frames were raced in the United States under the names of several prominent manufacturers and pedaled by some of the day’s most notable racers. A stainless steel Cielo road frame exhibited at the 2008 North American Handmade Show drew enough attention and praise from inside and outside the company to encourage Chris King to revive Cielo Cycles. 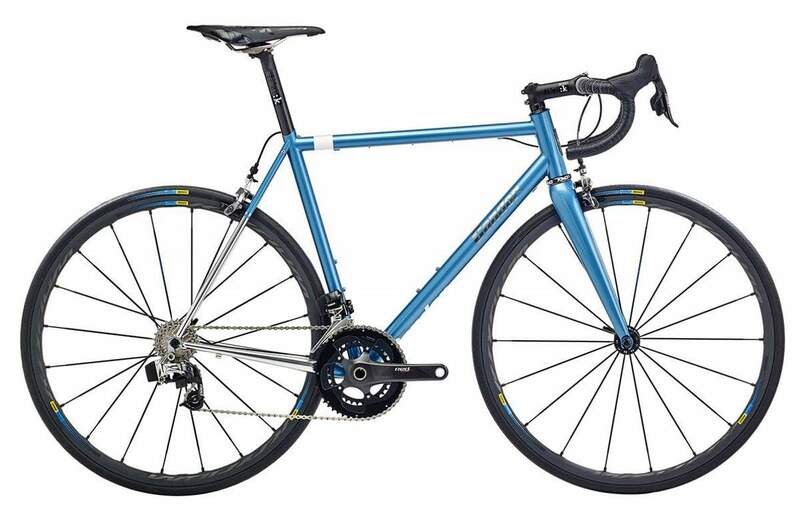 Cielo Road Racer: the frame features a custom drawn a selection of ovalized steel tubing that has been strategically placed to provide a stiff racing platform while harnessing the road dampening properties of steel. The design utilizes a Press Fit 30 Bottom Bracket for undiminished power transfer, an oversized head tube for confident and agile handling, and stiff chainstays for quick acceleration. These features are combined with compact frame geometry for a contemporary race fit. 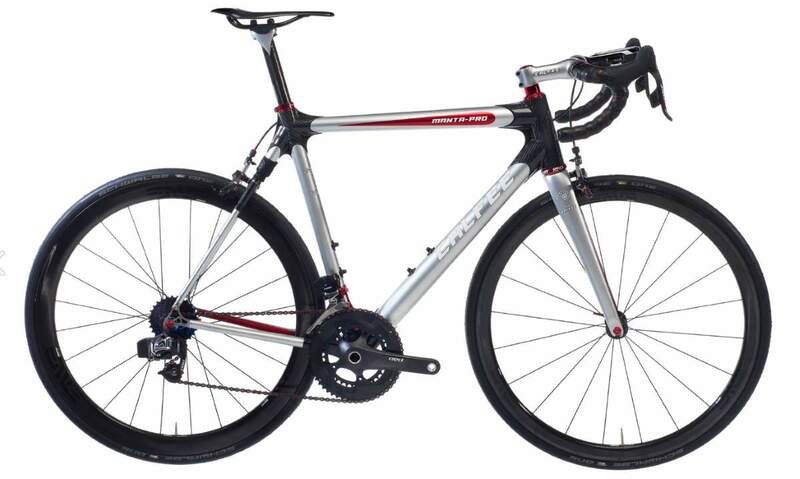 It is available in cable shifting or electronic shifting configurations. A front derailleur braze-on tab is now available upon request. It is compatible with both compact and standard cranksets. Bike shown: 17 pounds / 7.71 kilograms. Cinelli is a small high-end bicycle and components factory founded by Cino Cinelli, a former pro rider between the Thirties and Forties, winner of three Giro d’Italia stages (1938, 1939), a Giro di Lombardia (1939) a Milano-Sanremo (1943) and many other races. In 1948 Cino decides to retire from pro cycling to found his own factory that will become a benchmark in the bicycle world. Someone may remember him as a rider, many others remember him as the father the first aluminum handlebars, the first seat with a plastic core, the first pedal straps, the first quick release pedals etc. Now the company is owned by Antonio Colombo, the son of A.L. Colombo, who involved in producing steel tubes (the famous Columbus tubes) for bicycles, cars (like Ferrari, Alfa Romeo, etc. ), motorbikes (Moto Guzzi, etc. ), aeroplanes (like Caproni, the very first plane to fly over Atlantic Ocean). The company is based in Caleppio di Settala, Milan, Italy. Cinelli Laser Mia -a Cinelli icon: completely “made in Italy” through a sophisticated wrapping technique of the carbon elements that are further processed, allowing us to create a custom frame weighing only 890g. All the iconic elements identifying the Laser are maintained: the fin under the bottom bracket, the fittings of the joints and the passage of the rear wheel housed in the seat tube. The company is founded by Rich Fox, who is also the head designer, and based in Portland, Oregon, United States. They build road and city bikes. This Circa road bike in space gray with red accents was created for the North American Hand-Built Bike Show in Sacramento. 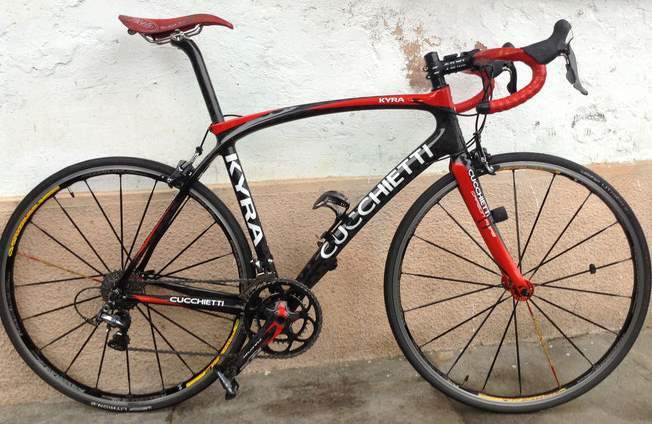 It features custom wheels with red Chris King hubs and an Ultegra group. The full build weighs in around 18.5 lbs (8.4 kg). “CIRCA’s proprietary manufacturing process lets us build head-turning road, city and town bikes with amazing attention to detail and laser-etched graphic storytelling. Our patent-pending bonded-lug design allows us to quickly deliver bikes that are tailored to a cyclist’s riding style, body type, and personality in a way that no other manufacturer can. CIRCA Cycles was founded in 2013 by ex-Nike innovation director and ZIBA design strategist Rich Fox. The company is founded by Joel Greenblatt and located in Golden Valley, Minnesota, United States. They build many types of bicycles – including road, track, MTB, Fat bikes, Cyclo-x etc. A Clockwork Bikes road bike. The company is located in Orlando, United States and it was founded in 1988. They build many type of bicycles bicycles, including road, touring, city, cyclo-x and tandem. Co-Motion Nor’Wester: 700c wheels with room for 28mm tires + fenders, exclusive Reynolds air-hardening 853 steel, long-reach caliper brakes for larger tires + fenders, specially-designed Co-Motion carbon fork for LR calipers, InterChange Dropouts, converts from vertical to horizontal for single-speed or fixed gears, Rear rack mounts. Concorde is a Dutch bicycle manufacturer, which was founded in the 70’s. They also sponsored a Dutch professional cycling team, PDM-Concorde (also PDM-Ultima), from 1986 until the end of 1992. Condor Cycles was started in 1948 by Monty Young, providing bespoke bicycles which have been ridden by riders such as Tom Simpson and Bradley Wiggins. Condor bicycles have been ridden to World Championship gold medals and ridden in the Tour de France. Stainless steel as a raw material is notoriously difficult to work with, complicating and extending manufacturing times, but the end result is a stunning ride which melds top-tier performance with the ability to be ridden all day, into one, single, purebred bicycle. Each Acciaio Stainless is built upon the request of the customers and is available with Super Acciaio, Acciaio or custom geometry. Each bicycle is offered with a full fit and is available in up to 50 colors. Built with Columbus XCr: unlike other stainless steel tubesets, Columbus uses seamless stainless steel, which enables the tube walls to be drawn extremely thin at just 0.4mm. This keeps the weight low whilst having a higher stiffness to weight ratio than Titanium. It is corrosion resistant, too. Founded in 2012 by Chris Connor, the company is located in Denver, Colorado, United States and as its name suggests, produces wood-frame bicycles. The available types of the bicycles are cruiser, touring, MTB and cyclo-x. The bikes are race-tested: Connor frames have survived the Leadville 100 mountain bike race, the second oldest of the growing number of 100-mile (160 km) marathon mountain bike races held in the United States (the first being the Wilderness 101 in Central PA). The Leadville Trail 100 MTB was first run in 1994 and has become one of the best marketed, attended and known marathon events in mountain bike racing. Ash wood frame (Walnut frame is available for an additional $350), 11 speed SRAM XO drivetrain, Spot Carbon CX Fork, Rolf-Prima alloy wheels, massive tire clearance for 42mm + tires, TRP hybrid hydraulic disc brakes, Easton alloy cockpit with Salsa Cowbell bars. CRISP Titanium is founded by Darren Crisp in January 2004. It is located in Castiglion Fiorentino (a small, walled city in eastern Tuscany), Italy. Darren Crisp builds handmade and highly customized titanium bicycles (road and MTB). CRISP Türkü. All CRISP road framesets are designed to include custom geometry, front fork, Chris King headset and seatpost clamp. Located in Austin, Colorado, United States, the brand was founded in 2004. They build custom carbon fiber frames. The founder, Nick Crumpton still personally designs, builds and finishes each frame in his Austin studio. Crumpton T5 Superlight, Di2 drivetrain, Enve wheels, Enve cockpit. The company is located in Mission Viejo, California, United States. It is an award-winning company: with their road-bike model CC I, they won North American Handmade Bicycle Show 2016 “the best new builder” award. Cryptic CC I: the winner of North American Handmade Bicycle Show 2016 “the best new builder” award. Founded in 1975, the company is located in Cuneo, Piedmonti, Italy. Curt Goodrich is building bikes since 1995. The brand is located in Minneapolis, Minnesota, United States. 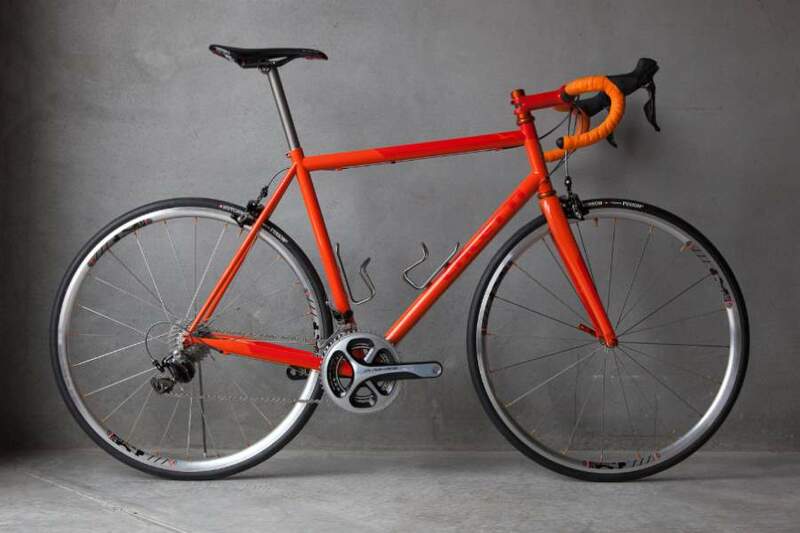 They build handmade steel bicycles – road bikes, sportif all-rounders, long distance randonneuse with custom carriers and constructeur-style design and specialty bikes for cyclocross, track and single speed, and city porteurs. 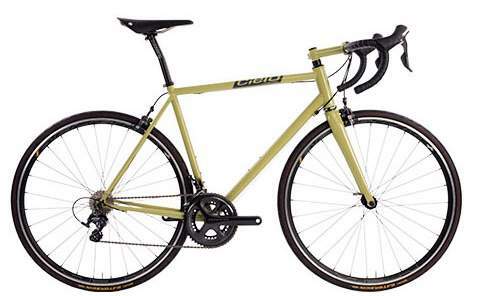 In short, you’ll find the full range of what is possible in custom lugged and filet-brazed bicycles. The French company founded in 1982 by Francis Quillon. Ever since, they’ve been building frames for Olympic medalists, Tour de France contenders, World Champions and passionate riders across the world. Cyfac started as a simple workshop atelier building framesets for the greatest French stars of the 1980’s. Laurent Fignon, Thierry Marie, Thierry Clavreyolat, Charly Mottet, Marc Madiot, Richard Virenque and nearly every French pro from the 1980’s to 2000’s raced on a Cyfac painted in their team’s livery. Through the decades they also built for more of the sport’s legendary greats, including Claudio Chiapucci, Marco Pantani, Frank Vandenbroucke, Robert Millar, and more. 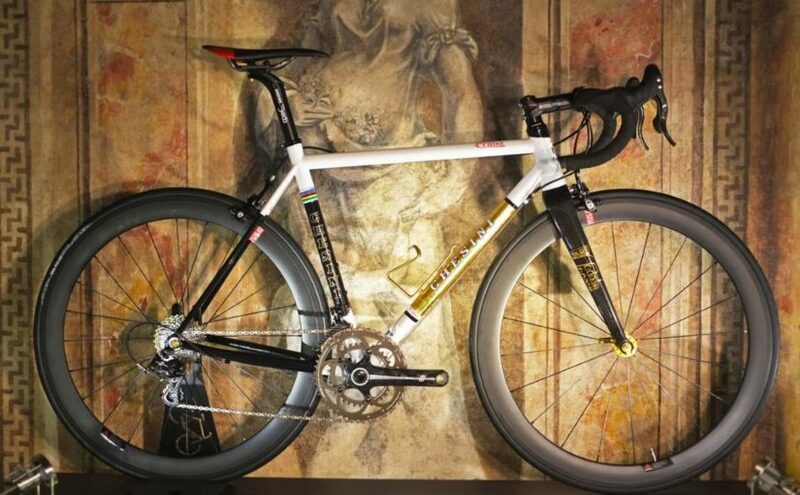 Cyfac was the first builder to TIG-weld aluminum frames, making the lightweight aluminum frames for Claudio Chiapucci and Marco Pantani and others. 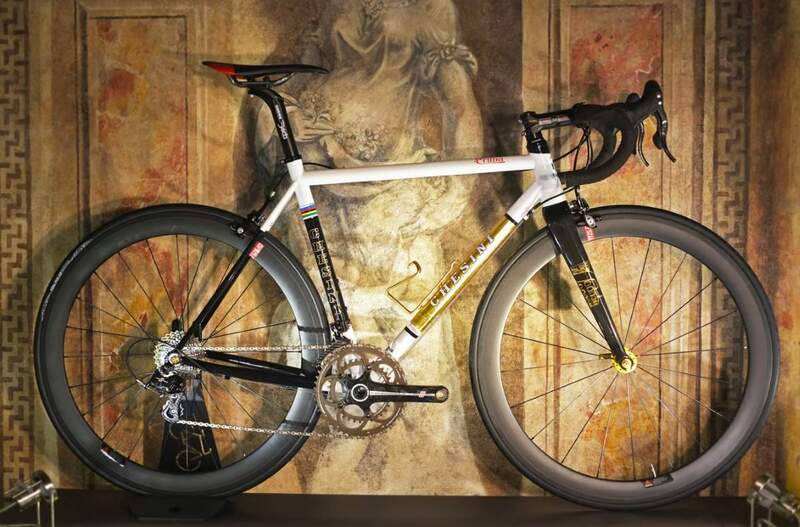 As the first European titanium builder, Cyfac offered a growing list of options, including the world’s only full-custom alu superbike design (since outlawed by the UCI). Cyfac’s avant-garde efforts culminated in the first full-custom, full-carbon lug-less frameset, the Tigre. The revolutionary Cyfac carbon-stratification process brought old-world hand-craftsmanship together with 21st-century technologies. Absolu V2 is the flagship of Cyfac cycles. Frame: T800H IM Carbon with Kevlar. Variable-shaped tube sections with the option for custom carbon lay-up. Front Derailleur: clamp 34.9 mm collar included. Sizes: XS (50cm), S (52cm), M (54cm), L (56cm), XL (58cm) and Full Custom. Options: Mechanical or electronic (Di2 or EPS) integration. Located in Chattanooga, Tennessee, United States, Cysco Cycles is a family business. The brand is founded by Clay Ellison. They build handmade titanium-frame bicycles and each bike tailored to the riders need, fit, and riding style. 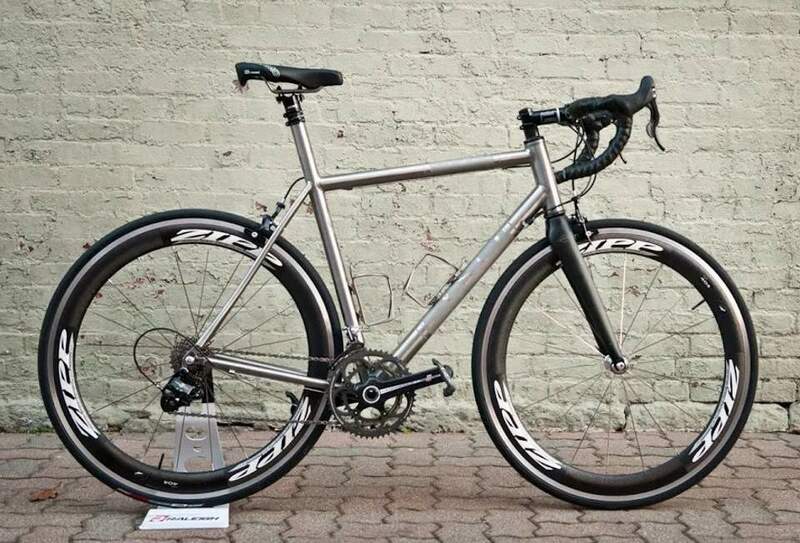 Cysco Titanium Road Bike. “We designed these frames to be comfortable for long days in the saddle. Thanks to the natural properties of titanium these frames are stiff, efficient, durable, and light without any sacrifices to ride quality and comfort. Our road frames include Enve fork, headset, 44mm head tube, choice of standard or oversized tubing, standard 68mm threaded bottom bracket, cable guides and stops, and choice of decals. We also have a variety of upgrade options below to customize your new frame.